Buzz Aldrin, 88, was the second person to walk on the moon. 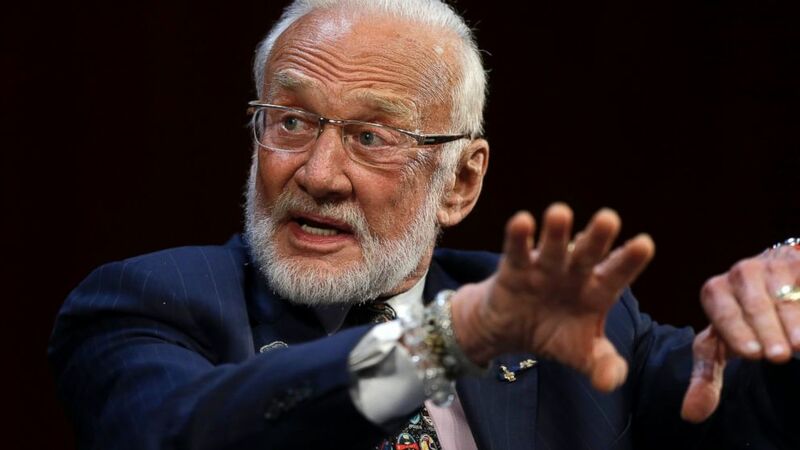 Buzz Aldrin, the second person to walk on the moon, said he was overwhelmed with “sorrow” when two of his three adult children asked a court to grant them legal guardianship over his affairs, saying their father is in “cognitive decline” and associating with people who manipulated him. Aldrin, 88, opened up in an exclusive interview with “Good Morning America” Tuesday, calling the legal battle with his children -- Andrew and Janice Aldrin -- “the saddest thing that had ever happened” in his family. "I really felt that it really didn’t need to come to this,” the engineer and former astronaut, who was born Edwin Aldrin Jr., said. “It's the saddest thing that ever happened in my family. But as I've seen, family is forever and I will forever be trying to patch it up." Andrew, 60, and Janice, 51, filed a petition last month in Brevard County, Florida, circuit court to become their father’s co-guardians, which would give them control of his finances and business affairs because they believe he has become paranoid and confused. Aldrin, who denies the allegations, fired back in a June lawsuit that includes Andrew, Janice and former personal manager Christina Korp this week, accusing them of elder exploitation, fraud and alleged misuse of funds. "Defendant Andrew Aldrin and Defendant Christina Korp have been for the past number of years been slandering Plaintiff in public and/or to other individuals or small groups by stating Plaintiff has Dementia and Alzheimer’s,” according to his suit. “Defendants have used this tactic to gain further control over Plaintiff's personal relationships, business contacts and assets." 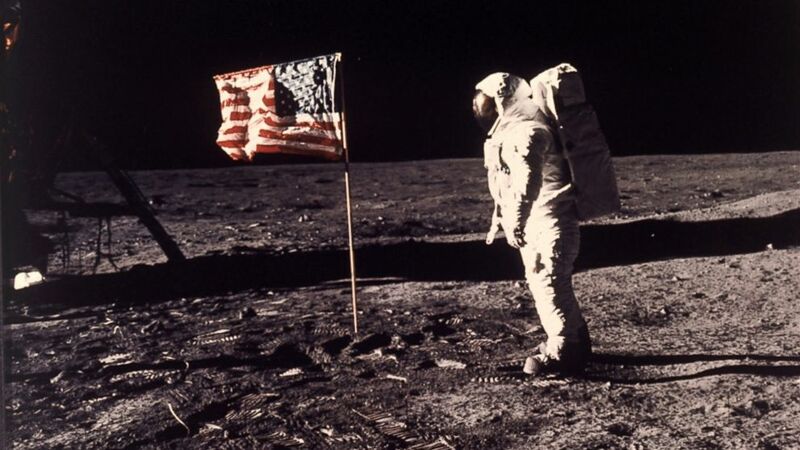 (NASA, Neil Armstrong/AP Photo) This July 20, 1969 file photo provided by NASA shows astronaut Edwin E. "Buzz" Aldrin Jr. posing for a photograph beside the U.S. flag deployed on the moon during the Apollo 11 mission. Aldrin alleges that Korp and his son had assumed control of his company funds “for their own self-dealing and enrichment,” according to the suit. He also said his son transferred nearly a half a million dollars over the course of two years from his bank account into a personal one. “We love and respect our father very much and remain hopeful that we can rise about this situation,” they said in a statement. (Steven Senne/AP Photo) Apollo 11 astronaut Buzz Aldrin, speaks on the campus of Massachusetts Institute of Technology, Oct.22, 2014, in Cambridge, Mass. Aldrin’s lawyer, on the other hand, says the suit was absolutely justified. Court-appointed mental health experts are scheduled to evaluate Aldrin in Florida this week, Bauer said. He said he’s “confident” that his client will pass any competency tests connected to his children’s petition, just as he passed a voluntary mental evaluation that he underwent earlier this year. “The kids are fighting for control over Buzz Aldrin, but Buzz Aldrin is fighting for his rights. He’s fighting for the rights that are given to us by the Constitution,” Bauer said. Aldrin, who joined Neil Armstrong on the 1969 Apollo 11 mission to the moon, is also confident about the state of his mental health and says his only problem is that he’s too trusting of people. “I learned at West Point and the military and at NASA to trust people. I trust people too much. I'll admit that,” Aldrin said. “I happen to be a very vibrant person. “I’m feeling younger and more energetic really than I have ever been in my life. There is less confusion and more clarity,” he added.